Yorktown was commissioned on 4 July 1984 at Yorktown, Virginia, and was designed to take advantage of the American Aegis technology. She proceeded immediately to work ups for a major series of shock trials. Among its various weapon systems are surface to air missiles (SAMs), anti-ship/anti-submarine missiles, torpedo launchers, and a mounted cannon. Yorktown's first deployment was from August 1985 to April 1986 and, among other things, involved the Achille Lauro hijacker intercept, two Black Sea excursions, and a trio of operations off the Libyan coast. Other notable achievements is that the Yorktown was the 'Smart Ship' test bed with a reduced crew. She was also involved in the 1988 'bumping' incident with the Soviet Bezzavetniy frigate in the Black Sea. She has since been decommissioned and is scheduled for dismantling. Maybe it is just me, but 20 years doesn't seem like all that long a time for the life of a modern military ship. After the prolonged testing of a 1970 prototype, the Soviet Union built six Alfa-class boats between 1979 and 1983. These highly automated boats require only small, 30-man crews. Combining a liquid-metal cooled reactor propulsion system with a titanium hull, Alfa-class boats achieve exceptionally high underwater performance, a top speed of 43 knots (80 km/hr) and an operational depth of 2,000 feet (600 m). Here is another fine double subject kit, this time in 1/350 scale with both a Ticonderoga class missile cruiser and an Alfa class submarine. Since the purpose of the USS Yorktown was air defense, it would be unlikely that it would get involved in ASW operations against an Alfa submarine, but hey, it doesn't really matter. The molding is in superb shape with parts still crisply done and no immediately visible molding glitches. 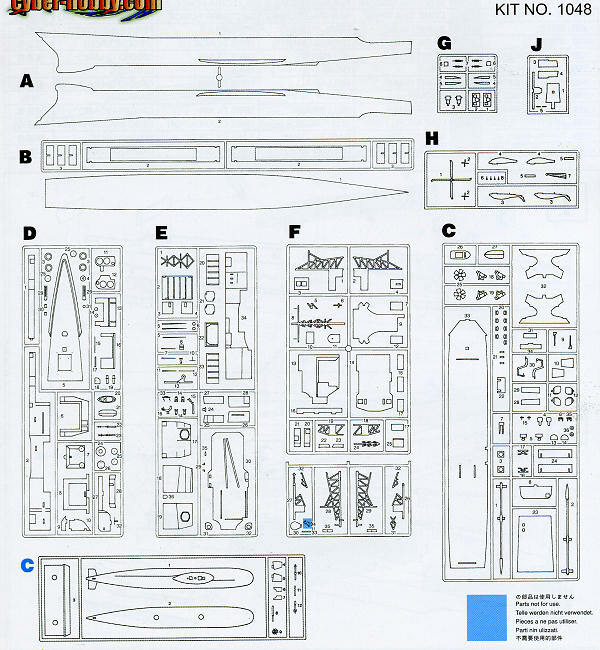 The sub is by far the simpler of the two kits with only one sprue and probably fewer than a dozen parts. The rest of the work has been lavished on the cruiser which is a full hull build. There are reinforcement plates and braces that one installs between the hull halves to add stiffness to the build. Superstructure items are all nicely done and seem to be a very straight-forward build. 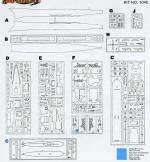 This includes the mast structure and the aft helos (which can be built with one having blades folded). The builder will have to open a few holes, but all that is shown in the smaller, color instruction sheet. 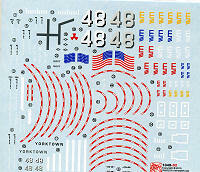 The Yorktown can be marked with the white ship numbers or the later grey versions and all the various deck markings are included on the decal sheet. Both of these kits sold well when boxed separately and so now you get the opportunity to have them both for less than the price of the cruiser alone. Thanks to www.dragonmodelsusa.com for the preview kit. You can find this at your local shop.